Trash Cinema Nights presents Robocop! The Primal Root here and I cannot properly express in words how thrilled I am to announce that The Trash Cinema Collective is going LIVE! That’s right, this Saturday (03.05.11) The Trash Cinema Collective is joining forces with Tallahassee Florida’s premiere dive bar, Bird’s Aphrodisiac Oyster Shack to bring you Trash Cinema Nights! 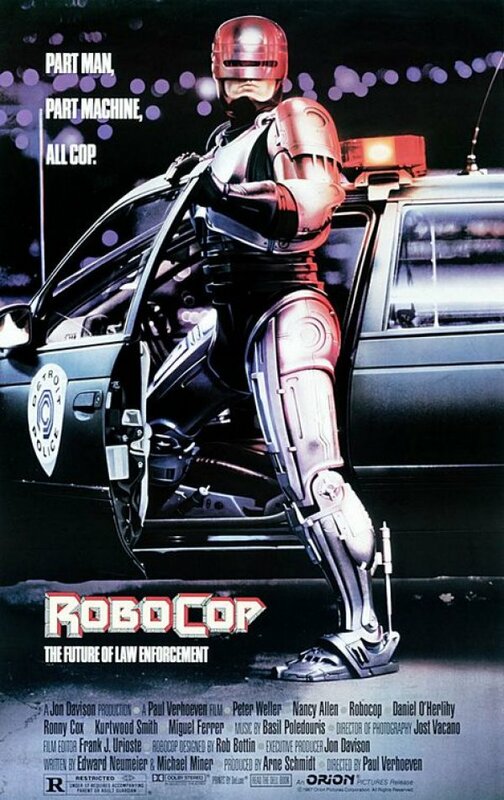 And for our very first feature we will be screening the 1987 trash classic, and on of my all time favorite movies, Robocop! So make plans to head over to Bird’s this Saturday and come be a part of a new Tallahassee Monthly tradition! Trash Cinema nights at Bird’s Aphrodisiac Oyster Shack. « My Soul to Take…eh, you can keep it.